The long-time girlfriend of mobster James “Whitey” Bulger showed little remorse before she was sentenced Tuesday in Boston federal court to eight years in prison, the Boston Herald reports. 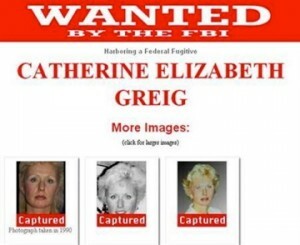 Catherine Greig said she had “no regrets” about helping the crime lord evade a worldwide manhunt for 16 years, according to the Boston Herald. The 82-year-old Bulger, the former leader of the notorious Winter Hill Gang, is expected to go on trial in November on charges he participated in 19 murders. Prosecutors, who sought 10 years of imprisonment in the case against Greig, said Greig and Bulger preyed on the homeless and mentally ill as well as alcoholics and drug addicts, stealing their identities in an attempt to evade authorities. Greig had pleaded guilty to harboring a federal fugitive, conspiracy and identity fraud. Her attorney, Evin Reddington, said he expects Greig to be released from prison in about five years, according to the Boston Herald. Posted: 6/13/12 at 10:10 AM under News Story.